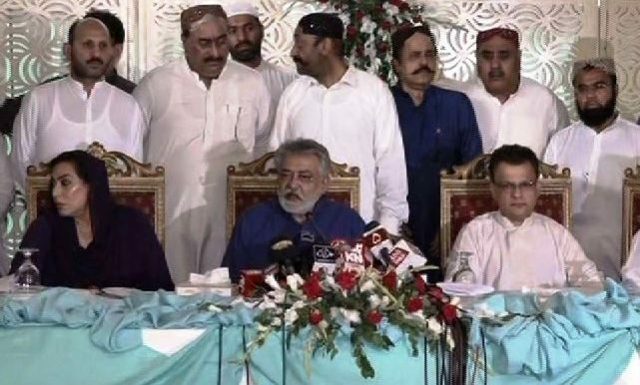 The Grand Democratic Alliance leaders have claimed that Pakistan People’s Party leaders are attempting to rig elections in Sindh, SAMAA TV reported Monday. 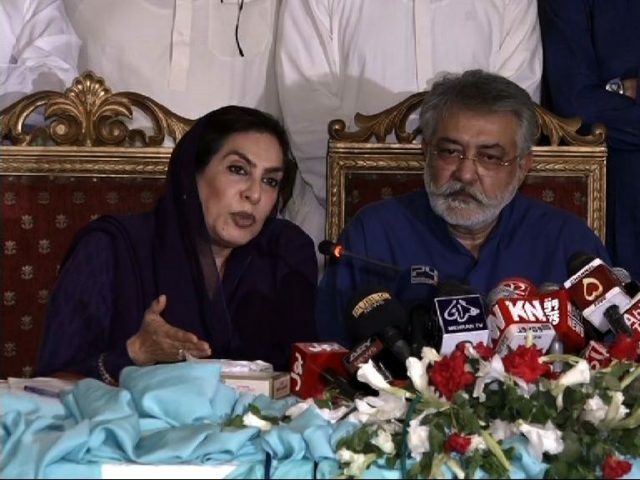 The alliance leaders – Pir Pagara, Ayaz Latif Palijo and Fehmida Mirza – while addressing a news conference in Karachi, also expressed their concerns over caretaker setup. They accused the caretaker chief minister Fazlur Rehman and IG Sindh of partiality. The GDA leaders appealed Chief Justice Saqib Nisar to take notice of the situation, and threatened to give a call of wheel-jam strike if their demands were not met within 10 days. GDA chief Pir Pagara, who is chief of his Pakistan Muslim League Functional, refused to accept the recent transfer and posting of top government officials in Sindh. He called for the appointment of federal government officials to oversee the July 25 elections. Pagara also called for transfer of SSPs. “We are demanding a fair and equal ground for elections, but what we see is that the caretaker setup is not neutral,” Pir Pagara said. Palijo claimed that Faryal Talpur, the sister of PPP co-chairman Asif Ali Zardari, on Sunday presided over a meeting of Assistant Returning Officers (AROs) at Naudero (Larkana). “I want to tell the chief justice and election commission that AROs under your Returning Officers have links with Peoples Party, what kind of election is this?” he questioned. “Sindh government departments start development work at constituencies soon after a PPP candidate visits the area and make pledges with voters,” Palijo claimed. She alleged that the caretaker setup is fully supporting PPP candidates. Meanwhile, caretaker CM Fazlur Rehman telephoned Palijo and assured him that concerns of the anti-PPP political alliance will be addressed.